A local fine-dining restaurant is making some upgrades to the list of items it offers. Jeffrey Meehan/Pahrump Valley Times The entrance to Stockman's Steakhouse, where passerby can check out the menu. The restaurant, inside the Pahrump Nugget, recently added to its menu. 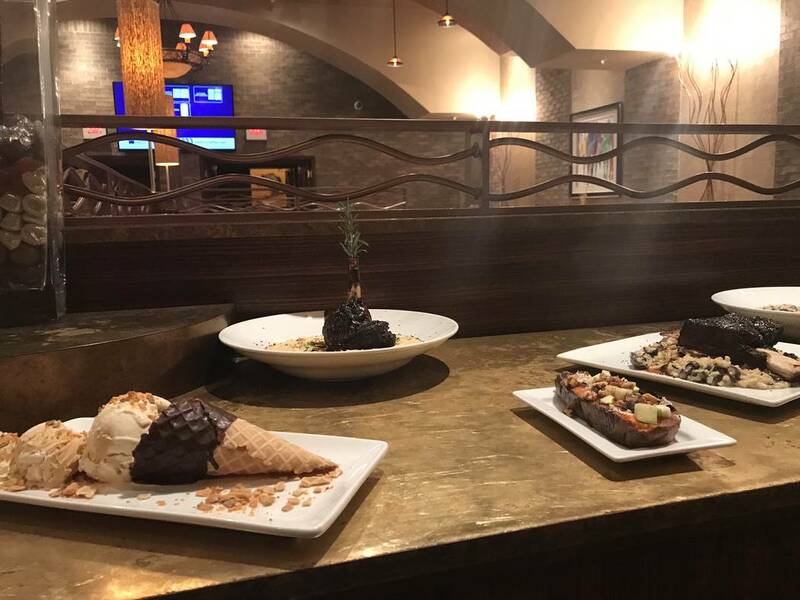 Jeffrey Meehan/Pahrump Valley Times Pictured is several new dessert options Stockman's Steakhouse is offering up to its diners: The sorbet sampler and the chocolate mousse cake are just a couple of the new treats. Jeffrey Meehan/Pahrump Valley Times Stockman's Steakhouse, inside the Pahrump Nugget, recently added to its menu. That included several new dessert options. Jeffrey Meehan/Pahrump Valley Times Gordon Onigkeo, chef at Stockman's Steakhouse (left), stands with Bill Bitzer, also a chef at Stockman's, stand at the steakhouse on Jan. 10, 2019. The duo recently worked to create several new menu items for the steakhouse. 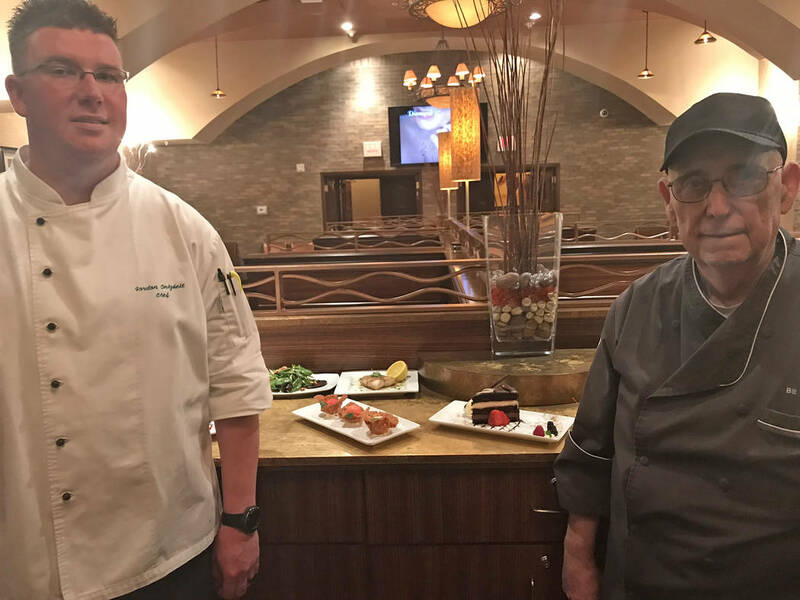 Chefs at Stockman’s Steakhouse, inside the Pahrump Nugget Hotel-Casino, introduced about a dozen items to its menu just before the end of 2018. The new lineup includes a lamb shank with a vegetable risotto, a new salad option and many new dessert options, along with other dishes to choose from. 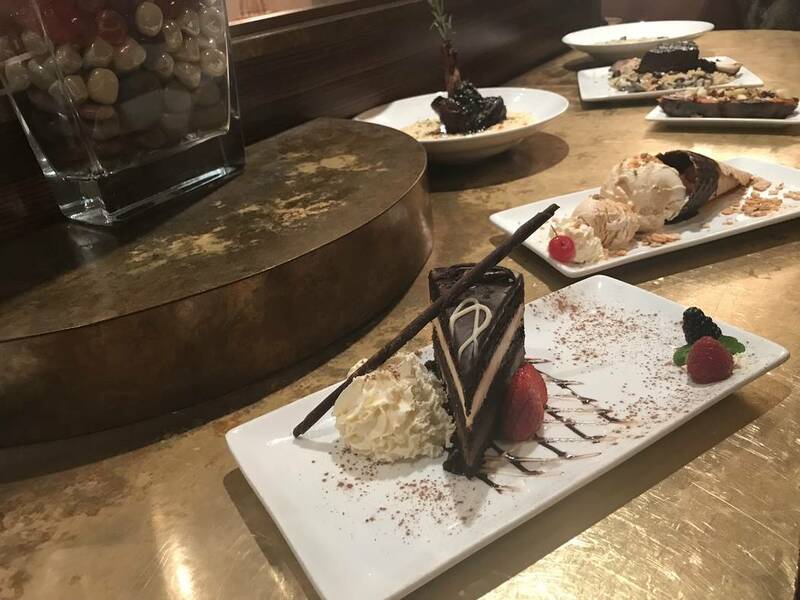 “It’s gone very well—especially with desserts because they’re all brand new, something different that we didn’t have before,” said Bill Bitzer, a chef at Stockman’s Steakhouse. Stockman’s menu was last updated about eight months ago. Stockman’s top-selling item is its filet mignon, with another popular item being its ribeye steak. “We have six or seven different types of steaks, plus a bone-in chop that we have on our menu,” Bitzer said. The 112-seat steakhouse is open Wednesday through Sunday. Its hours are from 5 p.m. to 9 p.m. on Wednesday and Thursday and 5 p.m. to 10 p.m. on Friday and Saturday. Stockman’s is open from 5 p.m. to 9 p.m. on Sunday. The Pahrump Nugget is operated by Golden Casino Group, a division of Las Vegas-based Golden Entertainment Inc. The Pahrump Nugget contains 69 hotel rooms and has casino game options, table games and slots, and a race and sports book. Golden Casino Group also operates Gold Town Casino and Lakeside Casino and RV Park. 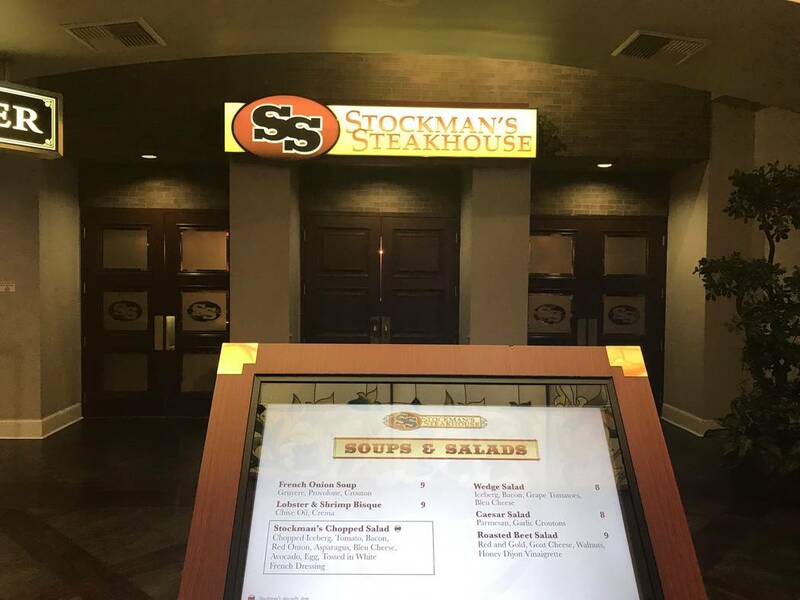 To make a reservation at Stockman’s, or for questions and concerns, call 866-751-6500, ext. 6031.